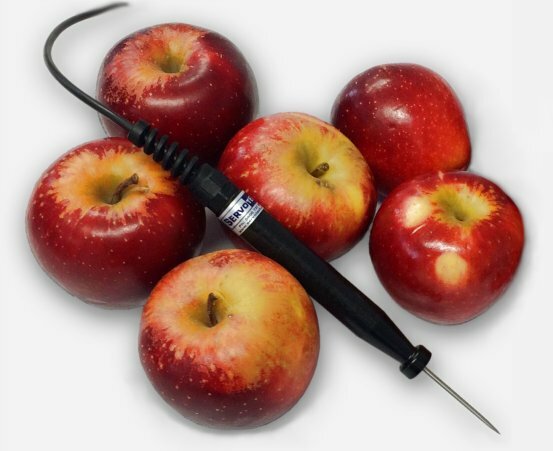 Servotech Fruit Probes are an easy and inexpensive way to accurately check the temperature of your stored fruit. Among other considerations, keeping fruit cool in storage will dramatically extend its shelf life. Combined with our one of our handheld temperature readout units, such as the CHY 800 RTD thermometer, you have everything you need to check your fruit or vegetables are within their optimum storage temperature range. Stainless Steel 3 x 50mm stem with sharp point allows easy penetration into most fruits. Pointed tip is solid so will not blunt or buckle if accidentally pushed into a hard surface. 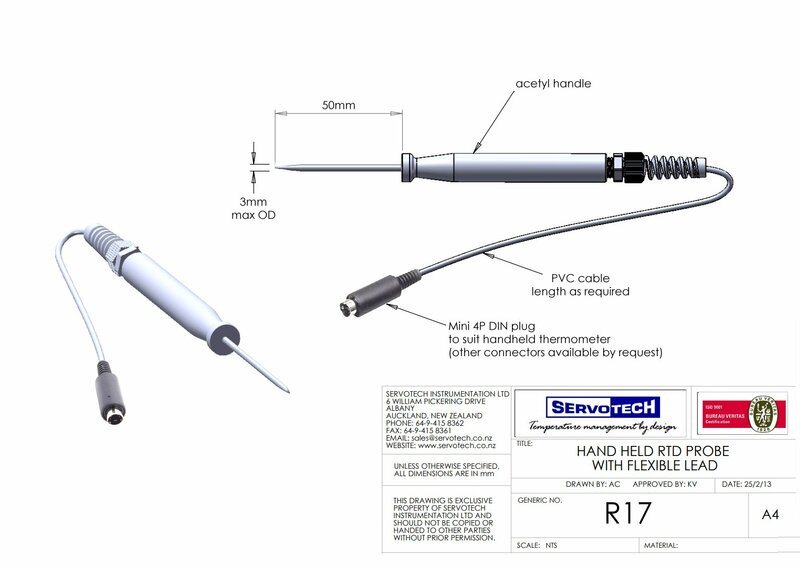 Uses a high quality Band 5 grade Pt100 sensor element for consistently accurate measurements. Watertight construction allows for total immersion and cleaning of the probe and handle assembly. Our custom made Acetyl handle is lightweight and comfortable to hold for long periods.